Are you doing anything Monday night? You know its going to be too hot to cook, so why not go out to dinner? 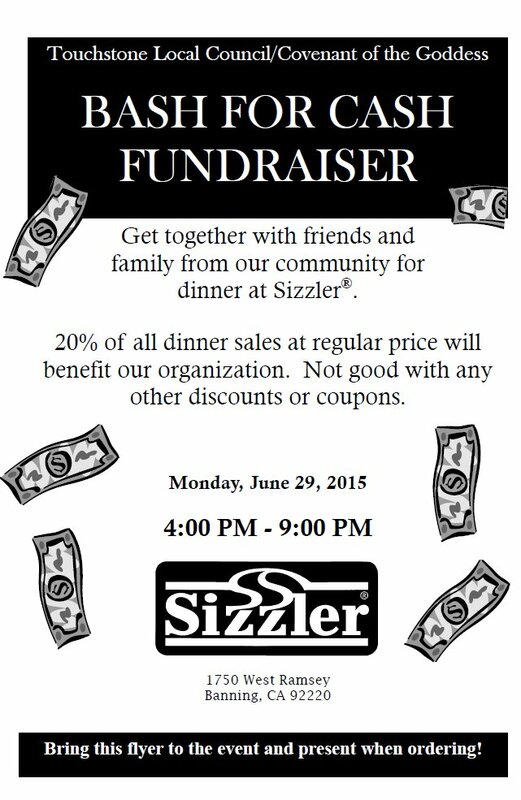 Join us for dinner on Monday, June 29th at the Sizzler on Ramsey in Banning, and you can enjoy the air conditioning and a meal you didn't have to cook! So stop by and say hello and enjoy a great conversation with some of the Touchstone members! All you have to do is print the flyer and present it when you order and a portion of your total bill gets donated to Touchstone Local Council! So bring your friends and family and we'll see you there!